Are you an avid cocktail maker, home entertainer or professional bartender? In order to entertain your guests or customers to the fullest, you’ll need the right bar equipment! 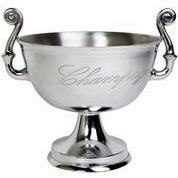 MyDeal offer a stunning range of barware for any occassion or drink. In the world of drink making, using the correct glass and equipment is of paramount importance. As well as creating the right aesthetic experience, the right barware also helps to bring out the flavour of the drink and enhance the aroma of specialty wines and whiskeys. How cool would it be to sitting in your bar stool having a sip from a fine cocktail made from your own cocktail kit. MyDeal got you covered all the way. 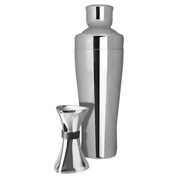 MyDeal provide a complete range of bar equipment for any beverage or occassion, including shakers, kiggers, glass outdoor barware and all other bartender tools. All our barware is available in a range of styles, from classic copper to beautiful timber wine racks. No matter your home’s interior decoration style or your own aesthetic preferences, any style can be found on MyDeal’s online store. Whether you’re looking to turn your home into a party pad or need to stock up on the right bartender tools for your professional work, MyDeal will have the range to suit. When looking out for home bar accessories or decking out your workplace, we know that both style and practicality are of the utmost importance. 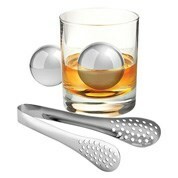 All our barware tools are highly durable and suitable for a wide variety of drink presentations. 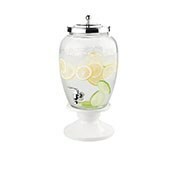 This means you can prepare flavourful drinks with ease and minimal mess. We also know how important the appearance of your kitchen, serving trolley or professional bar is, which is why all our barware accessories are sleek and stylish. This includes beautiful wine storage units, rose gold barware kits and basic accessories such as cocktail strainers and bottle openers. Whatever you need to prepare and present stunning drinks to your guests, MyDeal offers. 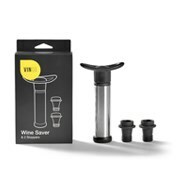 For complete convenience, purchase one of our barware kits or barware sets. These come complete with everything you need to give stellar service to your eager guests. From gorgeous cocktail accessories to glass outdoor barware, MyDeal offers everything you need to complete your bar or home entertainment area or give a housewarming gift to a loved one. In addition to barware, MyDeal also sell stunning kitchenware, tableware and cookware to complete your kitchen. 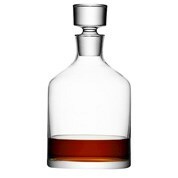 perfect for that expensive whiskey you don't want to dilute to get the true experience. This product really works. Wish I had known about it years ago!! Easy to use and clean. What more can one want! The wine was pretty easy to assemble although the instructions were inadequate! We found a video on youtube which was really helpful. 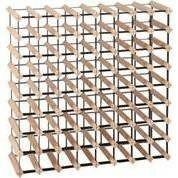 The wine rack is perfect for our under stair storage area and good value for money buying through My Deal! I love this product. When I purchased it I wasn't too sure if it would work but it actually does. 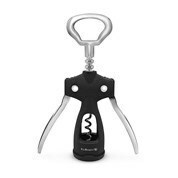 Very handy for opening tight lids. Delivered swiftly and works as described.